The Tron community has been bubbling with excitement for the last three months. All the initiatives by Justin Sun and the Tron Foundation related to promoting the network seems to be yielding results. Yesterday, in our Tron Trx news, we talked about how the Tron dApps report by dApp Report revealed that there was volume worth $1.6 billion on the tron dApp network over the last three months. This caused a lot of excitement in the Tron community. While they were still celebrating, another Tron Trx news reached the public. 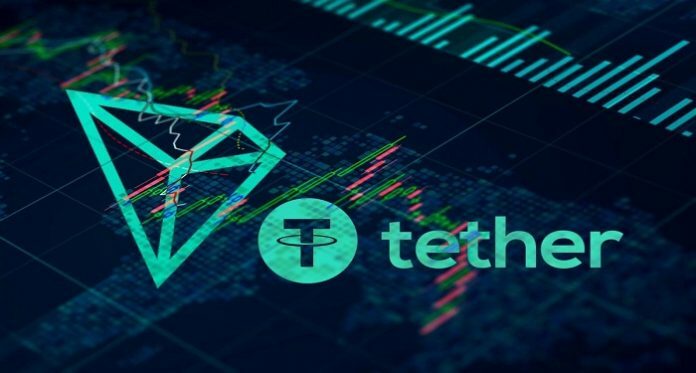 The Tron Foundation announced the launch date of the Tron-USDT token pair. This caused the price of Tron Trx to rise by almost 8% within one hour as reported by AMBCrypto. The crypto bull run kicked off fully last week as Bitcoin hit $5200. Since then, it has corrected lower and moved higher against the USD. This Bitcoin bull run has affected the entire cryptocurrency market. This includes the Tron (TRX) token. Unfortunately, Tron Trx lost the 10th position on CoinMarketCapital’s list of top cryptocurrencies and has been unable to reclaim it even with this recent 8% surge. At the time of writing, Tron was outperforming most of the top cryptocurrencies. Bitcoin was trading at $5,158.85. It is up by 2.70% against the USD. The trading volume over a 24 hour period is $17,716,171,736 and the market capitalization is $90,963,573,135. Tron Trx, on the other hand, was trading at $0.028486. It was correcting lower but still up by 6.37% against the USD. It was outperforming the price of Bitcoin by 3.61%. The market capitalization for Tron Trx was $544,767,355 while the trading volume was $1,899,492,357. Tron Trx Price Analysis – Why Is Tron Trx Rising? Well, apart from the positive sentiment in the market, this particular spike in the price of Tron Trx can be directly linked to the announcement that was made by the Tron Foundation. The price of Tron Trx spiked within the hour after the release date of the long awaited Tron-USDT pair. The pair would finally be available on the 9th of April according to Justin Sun and the Tron Foundation. What do you think about the Tron-USDT trading pair? Is it going to create significant volume for Tron? Share your comments about the Tron Trx news and Tron price below.